Buick Look Book // I'm a finalist! Buick Look Book // I’m a finalist! You folks are seriously THE BEST. I can’t thank you enough for all of the dinning room table and chair love! I’m so excited you love my space. I’m absolutely loving it, too; it has really come together nicely! I can’t wait to get some holiday decorations up! And for those of you who asked, the new chairs are surprisingly comfortable. (I also was a bit anxious about their comfort level given the low back.) The dining room is mymakeshift office during the day so I can keep an eye on the Gift Shoppe while I work. I hate to admit this, but on Tuesday I sat in one of the chairs for several hours straightwhile I wrote posts and edited photos. It felt just fine. My favorite part is how far the back comes toward the front. There is space to rest your arms without having armrests in the way. Brilliant design. So, yes, I rate them as very comfy! Anyway, I have some great news to tell you today. Remember a few weeks ago when I shared my experience with Buick and my design concept for their new 2013 Encore with you? Well, out of the ten bloggers involved, my design concept earned me a spot in the Top Five! Ridiculously exciting, right? 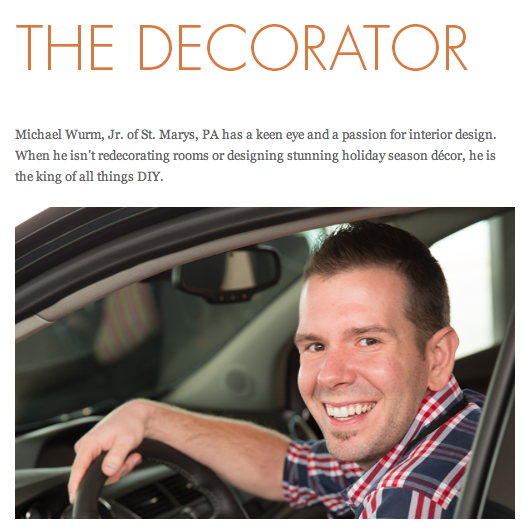 Buick has created an exciting Pinboard to Dashboard Look Book that showcases my design and well as the other top four. Click here to check it out. It’s so amazing! I created my design concept via inspiring images I found on Pinterest. You can still see my board here in case you missed it the first time. 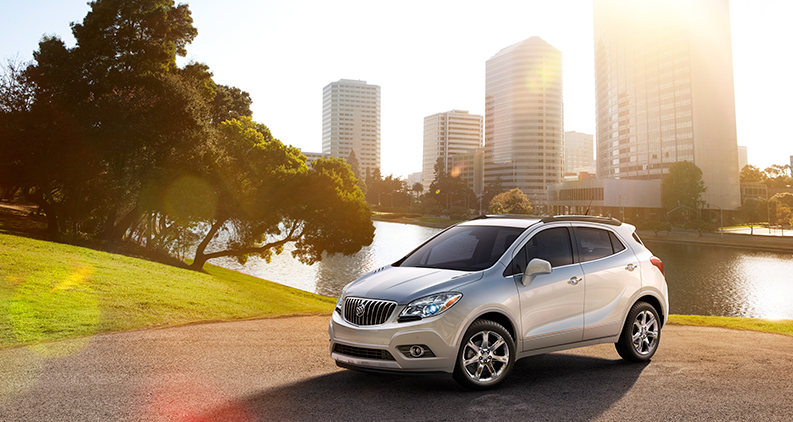 Now that the Look Book is complete, Buick will be sharing it with top designers and stylists. From there they will select one winning design. That design concept will then be featured at the New York City Auto Show in 2013. Regardless of which design concept is picked as the final winner, I am so excited and completely humbled. Buick has been the best! It is also an honor to be part of this group of fabulous bloggers. If you have time, check out their designs and their blogs. Everything that you will need is linked up in the Look Book. Thanks to all of you for your support and encouragement along the way. It means so much to me! Which Pinboard to Dashboard Buick Encore design do you love the most? Buick Look Book // I’m a finalist! Buick Look Book // I’m a finalist! Oh I hope you win!!!! Love the new header photos. You SHOULD be a finalist. Your board was brilliant! Michael, you did an amazing job!! Congrats and I can’t wait to see you again in a few weeks!